We love the Teletubbies and so glad to see that they are still going strong twenty years on. New to the Teletubbies are the adorable baby version the Tiddlytubbies, who made their first appearance in the new Teletubbies series back in November 2015. Of course they have become firm favourites with tots, so it was inevitable that Character Options would bring out an adorable range of Tiddytubbies toys! And what a great way to celebrate their 20th Anniversary! Both the new Shuffle and Giggle Tiddletubbies (£24.99) and the 8” Giggling Tiddlytubbies Plush (£9.99) are suitable for those ages 18 months and over. With soft fabric, making them irresistible to touch, perfect for play and to cuddle at bedtimes! 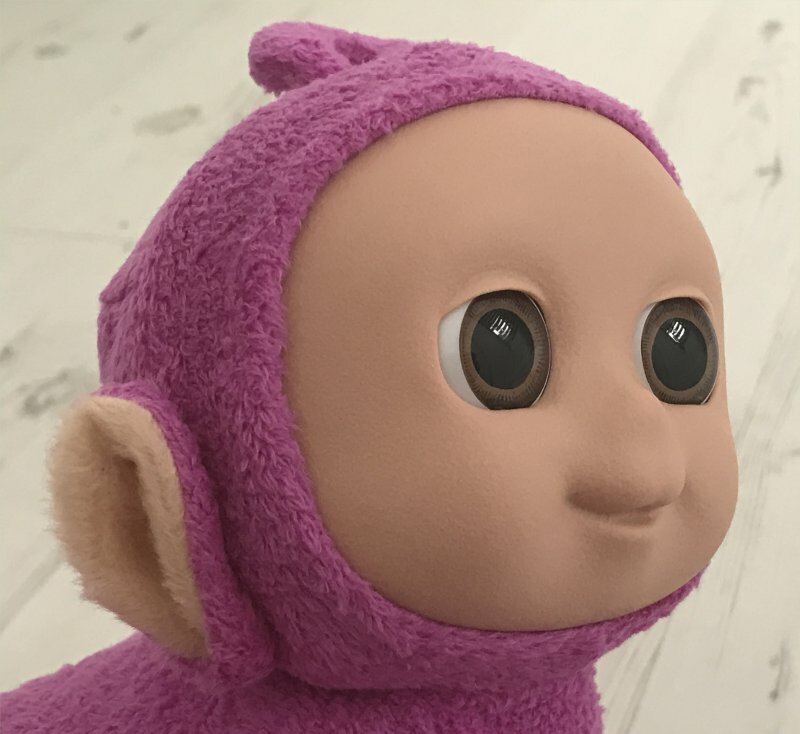 The 8” Giggling Tiddlytubbies Plush produce cute giggles when their tummies are squeezed – with four bright and colourful characters to collect: Umby Pumby who is yellow; Mi Mi who is blue; Ping who is pink and Nin who is purple. Whilst the Shuffle `n’ Giggle Tiddlytubbies is currently available as Ping. Eighteen months is a great age when children are moving about – so what a great way to embrace this than with the Shuffle and Giggle Tiddlytubbies who crawl across the floor. With different giggle and laughing sounds – with that familiar Teletubbies twang to it. I am pleased to say that there is a range of these short bursts of pleasant sounds – so it is not the same annoying sound over and over again. A bonus for both children and parents alike! Shuffle `n’ Giggle Ping has 3 settings – 1. Try me – this allows Shuffle `n’ Giggle Ping to just make noises; 2. On – this allows Shuffle `n’ Giggle Ping to both move and make sounds and 3. Off – self-explanatory. 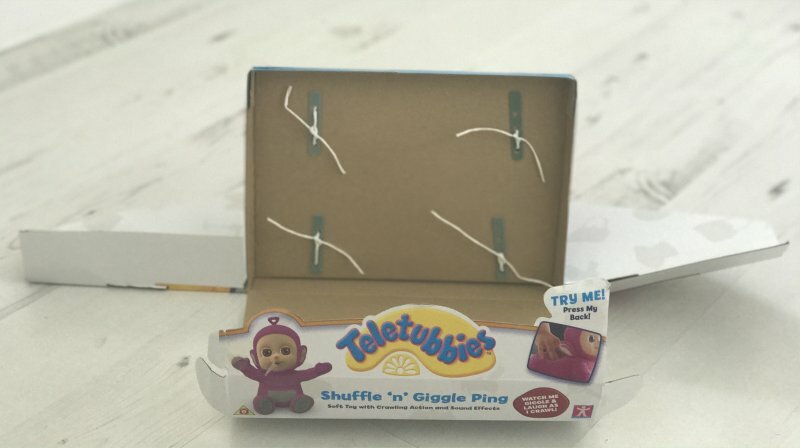 I loved how great the packaging was – bright and appealing and Shuffle `n’ Giggle Ping was really easy to take out with a few twists: Nothing worse than having to find a screwdriver to take a toy out whilst a child waits – especially at that age! It was then environmentally friendly with hardly any waste and mostly being cardboard. Shuffle `n’ Giggle Ping has a beautiful textured face that is sure to delight little hands. With big brown eyes which reflect your appearance back in the pupils. Just the right size for little hands with a button placed perfectly for children to crawl around after her! The towelling material is not only soft to the touch but also easy to clean – which also covering the hard plastic body underneath which protects the batteries (3 x AAA batteries required but provided with demonstration batteries) – and keeps little fingers away from them! Shuffle `n’ Giggle Ping also has the iconic Tubby Belly Screen.